Cook quinoa according to package and set aside. In a large skillet on medium high Heat 1 Tablespoon of oil garlic, asparagus and onions in skillet over medium high heat. Add tempeh and saute until golden brown and remove. Add another tablespoon of oil and add remaining ingredients cooking over medium heat stirring frequently until veggies are tender. In last minute of cooking mixture add golden brown tempeh back to mixture. Take a cup of cooked quinoa place on the bottom add a cup of tempeh mixture on top. This meal is super nutritious high in protein and low in fat. 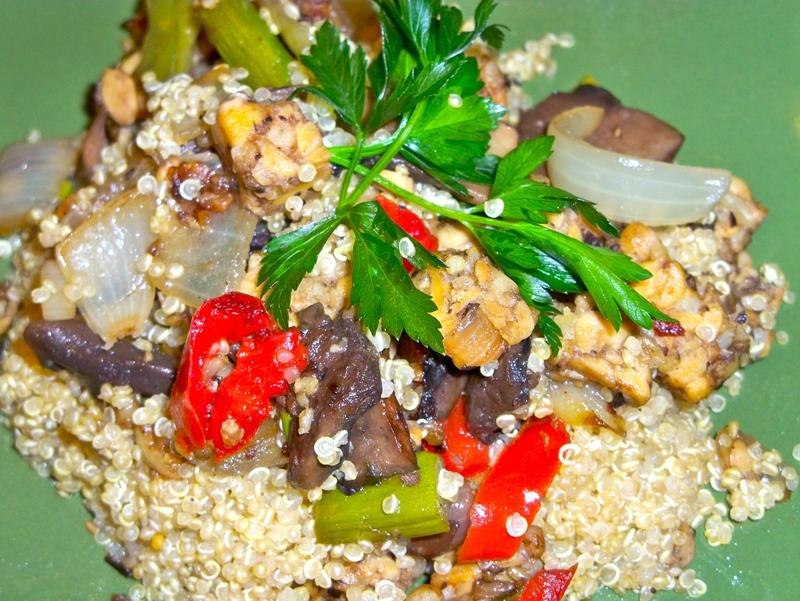 The quinoa and tempeh have lots of protein. 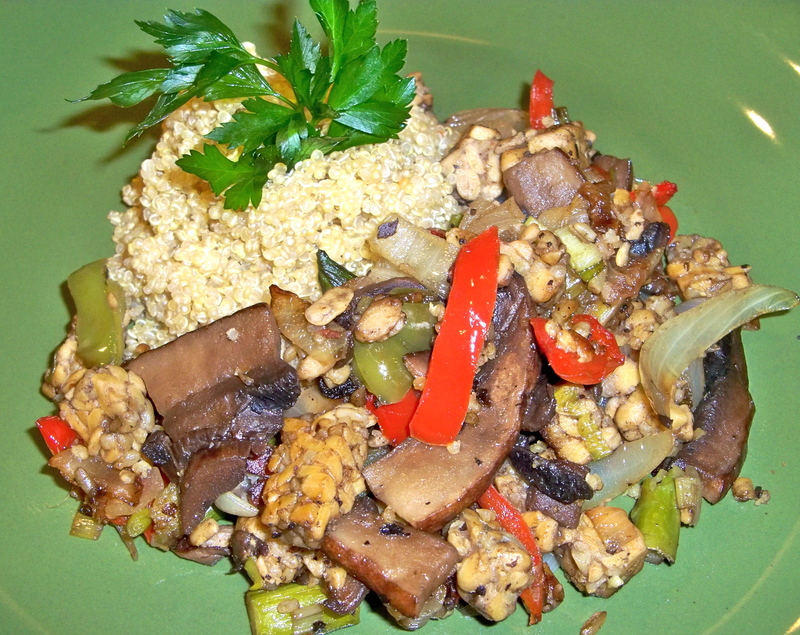 Tempeh providing 13g per serving coupled with the quinoa protein. This is a wonderfully delicious meal and super clean and earthy in taste. It also is extremely affordable. The tempeh comes in at under $2 the bulk quinoa about $1, the other items about $2-3 total making this meal for four under $6. Wow! What an incredbile feast!